Wifrid Louis-Paul obituary. Carnes Funeral Home. 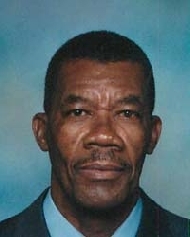 Wifrid Louis-Paul passed away on 11 November, 2016 in League City, Texas. Wilfrid Louis-Paul was born to Zilinca Louis-Paul and Modestime Andre on 28 October, 1940 in Siber, Haiti. In 1969, he had a son Frantz Louis-Paul. On 28 October, 1969, he married Marlene Lajeune and had two children Judith and Ronny Louis-Paul. Wilfrid traveled to the United States where he worked hard as a respected automotive mechanic for over 30 years. He later became an avid beekeeper and established the St Jude Aprairie honey production in Haiti with the assistance of his dear friend Aimee Paulemond. He enjoyed teaching local men of his neighborhood the vocation of automotive mechanic and the care and production of honey. Wilfrid is survived by his brother Wilson Louis-Paul (Maxilia). His sons Ronny and Frantz Louis-Paul and his daughter Judith Wesley (Derrick). He had seven grandchildren. A Grave side service will be held Tuesday, November 15, 2016 at 1:00 PM at Mt. Olivet Cemetery Dickinson, TX. Rather than mourn the death of Wilfrid, he wanted his family and friends to celebrate his life with laughter, food and honey!! A memorial ceremony will be held in his honor in New York and Haiti for all unable to attend the funeral. Place, date and time to be determined. Memorials may be sent to Carnes Funeral Home 3100 gulf Freeway Texas City, TX 77591.